How Arab World Could Trigger H-BOMB WAR! Greetings brethren at Feast sites all around the world. Once again I am speaking to you from my own television studio in Pasadena, as I did on the opening night of this Festival. We come now to the last, the very last service of this whole Festival of this year. Since last year brethren, my eyesight has deteriorated to the point that I cannot read even any notes, no matter how large they might be printed or written. And since...these annual Festivals are to remind us every year of the various phases of God's Plan. And tonight we are to be reminded of the Judgment. So much is said about the Judgment in the Bible, and the Day of Judgment. The message is the same. And so this year I think I can do no better that to just give you the same message that you had from me a year ago. The most important thing for us to know, the most important human knowledge for anyone to have in mind, is the fact that God is working out a purpose here below on this earth, as Winston Churchill said to the United States Congress, back in World War II. That's the most important knowledge that anyone could possibly know. What is that purpose and how is it working out? His purpose is that God is reproducing Himself. I'll explain that now as we go along once again, and we should already know that. Now for the last seven days we've been picturing a time just ahead of us now that will last 1,000 years once we come to it, and we call it the Millennium, which is a word that simply means a 1,000 years. But today we come to the final Judgment in God's Plan, and that is an event that will take place after that 1,000 year millennium has been completed. The Millennium should be a glorious time, Satan will be gone. We've been having a foretaste of it now for the last seven days. It's been a very happy time I'm sure. But there are still greater things on beyond that, and so we come to that today. Now first today, let me ask what led up to the present time in which we live now, and the Millennium that is just ahead in which we have been celebrating these past seven days. "In the beginning was the..." (John 1:1) Logos, or the English language it's translated in the beginning was the Word. Now Logos is a Greek word as it originally was written, and it means Word, it means Spokesman, the one who speaks. Now who was this Word? In the fourteenth verse of this same chapter, it says that; "...the Word was made flesh and dwelt among us... [and became Jesus Christ]" (John 1:14). I know my mind can't conceive that, and I'm sure yours can't either, we just have to realize that He has always existed, He always will. I think we can look into the future and see the idea of never dying, always living on and on and on, but I think it is very difficult to go back and consider how He had always existed, it seems like it had to start somewhere. Nevertheless, it never did start, He has always, existed. Now God, then you see is a family. There are two persons and the two persons formed a family. They are not male and female like humans. But in the human race, a man and his wife, a male and female, are combined as one and one family. Then they have children and that adds to the family. The first child in a family is composed of three members. A second child is composed of four members now altogether, and so on. So there was a family relationship and God had become His Father. Jesus was the Son and the Father loved the Son and Jesus loved the Father. So the way they lived was love, one to the other. Well what did they do? They created. Now how did they live? They lived the way of love, which is out flowing cooperation, one with the other, absolute harmony and agreement, no conflict, no disagreement whatsoever. Jesus said, He was the Word, He spoke, but He said He only spoke what God the Father had told Him to speak, because you see, they agreed completely. And the Father was the Head, the Leader. Now the way they lived, that way became a law. If you ask, what is a law, what do you mean by the word, 'law'? As I mentioned one time when I was speaking to the Law School of the University of Southern California, I explained that a law is simply a code of rules of human conduct that determine how you live, or how you conduct yourself. For example, in an athletic game of some kind, you always have to have rules. Well the rules are simply the law of the game. Now you can't have a law without a penalty, but if you break a rule in a game there is always a penalty, and so it is. Now God's law is just simply the way of love, and that is the way of agreement, of harmony, of cooperation. And that means of helping, of serving, of ministering to, of out going concern for the good and the welfare of the other, and not selfish concern just for the self only, but just as much concern for the other, and his welfare as for your own. That is a law. Now what is Government? Government is merely the organized administration of law over a certain group of — well in the world, a group of people. Every Government has a basic law under it in every nation. Every city, if it has a Government, it has to have a basic law. In the United States we have a basic law and we call it The Constitution of the United States. And every other law has to agree with that. Now the Law of God then is out flowing love. Now I'm going to say something more about that as we go along. But God's purpose is shown in the very first chapter of the book of the Bible in Genesis 1. Now we come to understand it and in God's purpose better, when we come to verse 26. Now God had just created cattle after the cattle kind. He had created dogs after the dog kind, horses after the horse kind, elephants after the elephant kind. But now He said let us create man after our own kind. Man was to be made after the God kind, and man was made to be born as a child of God. And we see that in so many places in the Bible, and especially in the New Testament. So that we see God's purpose then, was to reproduce Himself. In other words, the dust of the ground became a living soul. A soul is made from matter but there is a spirit in that soul, and the spirit is what puts a mind into every human being instead of just a physical brain like an animal. Animals don't have the spirit. A cow has a brain just as good as a human does, just as good, believe it or not. But a cow can't think. A cow can't reason. A cow can't use judgment and wisdom. A human can because the spirit energizes, or the spirit imparts the power of intellect to a physical brain, the spirit working with a physical brain. But it is a human spirit. Now God is a higher level of Spirit. God is the highest level of Spirit. There are different levels of spirit and human spirit is not as good as divine Spirit of God. Now man was made mortal. Adam was made mortal. He just had temporary life, the breath of life, as long as he breathed that air in and out of his lungs. As long as his heart kept beating he would live, but when it stopped, when his heart stopped or he stopped breathing he would die. Now God's purpose then, was to recreate Himself. But what is God? God is perfect, righteous, spiritual character. And character is coming to find the right way from the wrong, and the right way is God's way of love, of out flowing love. And character is coming to will and have the will to decide to live that way and to resist every other way, no matter how much you might want to change and go some other way. Character is, well governing your own self even above your own desires, of knowing in your mind what is right instead of what is wrong; and of God's right and of living that way. Now in this Garden of Eden where God put the man that He had made, and the woman that He had made with him, were two trees. Adam did not have immortal life, he only had a temporary, chemical existence, not real life like God does. God has immortal life, but God offered him life through the Tree of Life. Now if Adam had taken of the Tree of Life he would have received the Spirit of God to enter within him and to combine with him just like a man combines with a woman to make one family, and to make him a child of God and to unite him with God. And if he had that uniting with God, it would have put the mind of God within him, in his mind. It would have given him a far greater mind, because the Spirit of God would then impart the power of intellect to his physical brain in a much greater way than just the lowly human spirit does, because God's Spirit is so much greater, and so much more powerful in every way. He would have been one with God. He would have had the same mind of God and could then have developed the character of God. Because having the mind of God, God would have directed him and shown him the way that is the right way instead of the wrong way and on the higher, spiritual level of the character of God. And that's what God wanted him really to do. But then there is another tree in the garden, and that was the Tree of the Knowledge of Good and Evil. Now we have to pause right there for a second and just go back just a little and before God created this man. As a matter of fact before He had even created matter. There hadn't been any earth created or any universe. No matter had been created. God created spirit beings, they're called angels. Now there are three levels of angels, ordinary angels, and then a second, higher classification of angels called Seraphs, and a still higher classification of angels called Cherubs. Now Cherubs are the highest and they're next to God, much higher than man. Ordinary angels do not have wings, but Seraphs and Cherubs do have wings. But God had then created the earth to be the home of angels, and we read in the thirty-eighth chapter of Job, that when God created the earth the angels "sang together" because the earth was going to be their home, they were going to live on it, on the material earth. Now God had put a throne on this earth. God now is the ruler over everything He created, and when He created angels He had a way for them to live, and it's the way of loving one another; the way of giving and serving and helping and cooperating. Now that law would be the foundation of a government to administer over the way others lived, and in this case, other angels. And so God put a throne on the earth and He put a super archangel, a cherub on that throne. His name was Lucifer, but Lucifer became proud. He was so beautiful. He was perfect from the day God created him, until iniquity, or lawlessness, was found in him and vanity had seized him and he became jealous of God and he wanted to compete with God instead of obeying God. Instead of loving God, now he wanted to hate God and disagree with God and he wanted to take over the throne of the whole universe away from God. He wanted to rule more than just this earth. And so this Lucifer was changed into Satan the devil. He had now become an adversary. He had not developed God's kind of character. But he was already made immortal because spirit is immortal and spirit cannot change or die. And once he had set himself as hostile to God he could not change back. He has always been hostile. That made him unhappy. He is the most miserably unhappy person, or being, there is in the entire universe and he always will be. But he was on that throne on the earth when God created this first man Adam. Now, there was the Tree of Life that would unite this Adam, this human being, the first man, with God. And he would have been one with God and would have been — had the mind of God, would have — God would have instructed him to God's way of living and even given him the very mind and power and character of God, which he could have acquired if he had been willing. But he had to make his own decision, because character is the decision and the will of the individual entity to do as God shows is right instead of wrong. That is righteous character. And so, while this man Adam was not looking, his wife stole away and encountered this Satan, this Lucifer, the super archangel sitting on the throne who now had become Satan, and he appeared in the form of a snake to her, a serpent. And he didn't say to her, "Now look, I am on the throne, I am ruling, I want you to worship me instead of God." He didn't say that. He said, "Look, you make up your own mind and do your own thing. You have ability for good as well as for evil. Now you decide for yourself how you want to do. Don't just give in to God, but you just decide, you, you go your own way and do your own thing." And you know, that looked rather good to the woman and she decided to go that way and so she took of that forbidden fruit. Now God had said, "If you take of the fruit of that tree of The Knowledge of Good and Evil, you will surely die." Satan had lied, he said, "No you won't die, you're an immortal soul." And you know most people on earth have believed that lie ever since. But people are not immortal souls, that is just Satan's lie. Well, and so she gave to her husband also and he did disobey God and he followed his wife and he took of the forbidden fruit and he rejected the Tree of Life. He rejected union with God. He rejected having the mind of God come in to join with his mind and give him a mind of God. He rejected being begotten so he could be born of God and become God's son, which he could have been! God wanted this man to become God's own son, but he, you might say, he just thumbed his nose at God and said, "No I don't want any of you, I'll do like Satan says, I'll just do my own thing, I'll go my own way." Now man has ever since; he has a capacity for good up to a certain extent because the human spirit in man is capable of good, but as I said a while ago, the human spirit is on a lower level than angel spirit, and that is still on a lower level than God's Spirit. God's Spirit is the highest of all, and the noblest and the finest in every possible way. So on Adam's making that decision, Adam rejected the Government of God, and what he actually did, whether he realized it or not, he surrendered to the government of Satan and Satan was sitting on that throne. And in a sense, Satan had kidnapped him. And Adam was made capable of having children. Adam with his wife Eve, they had a son, his name was Cain. They had another son, his name was Abel, and they had a third son, his name was Seth. And so the human family began to grow. But the human family, it started out with its progenitor Adam, and he had defied God, had rejected God and refused the Spirit and the mind of God and decided to stand on his own mind. And consequently now he only had life as long as he could breathe air and as long as his heart would beat, and then he was going to die. And so that started the foundation of this world. At that time God closed up that Tree of Life so he could not now go back and take of the Tree of Life and receive the Spirit of God and be joined to God. He was cut off from God, cut off completely from God. Now there is another thing I think we need to know right there. In the first chapter of Genesis it says, "In the beginning God created," and I said a while ago that the Hebrew word for God was 'Elohim' and that is a plural word. That meant both God and the Word, who later became Jesus Christ — God's Son. Now coming to the second chapter of Genesis, where God rested on the Sabbath day, it comes to another name, and that is the 'Yahveh Elohim' or 'the Eternal God', the LORD God. Now the word LORD is usually in capital letters in your Bible, and it comes from the Hebrew word 'Yahveh' and that is the one who later became Jesus Christ. But now let me tell you something. Adam never did know God, he only knew the one who was the Word, and he was now cut off from God and he didn't know anything about God. He was cut off from God and he just had temporary life and his children could only have temporary life. Now they had a sense of good, and humans have developed into a society, and many humans have high ideals and they have good aspirations and they have ethics and good principles and good morals, up to an extent. And I guess one of the nicest things that we have in the sense of good, one of the most good of all things in a human being is mother love, the way a mother loves her own child. But mother love, if you stop to think, is selfish. It is innately selfish because the mother loves her own child because it's hers. She doesn't love other children as much as she loves her own child. Now God loves everybody alike. God loves even His own enemies, so there is a great difference. Now at the time that Adam made that decision and God closed off the Tree of Life, He shut man off from GOD, that we now know is God the Father and man never knew about God the Father. The only God he knew was the one who became Jesus Christ. And when Jesus came 4,000 years later, he came to REVEAL God the Father, and the world had never known anything about God the Father until Jesus came. Apparently Adam never got to know God the Father. When He closed that Tree of Life, another thing happened, if you stop to think. He closed salvation off from the human race. Salvation had to come from God the Father and now man couldn't know God the Father. So that's something else that very few people seem to know anything about. Now that was the foundation of this world and it's still Satan's world, Satan is still on that throne and Adam was now being, without realizing it, being deceived and was being led, and all of his children ever since have been led by this Satan the devil. And they've become the children of Satan the devil and Satan the devil has kidnapped all the human race, kidnapped them all. Now at that same time, God, God the Father, had decreed that the Logos would come as Jesus Christ as the Lamb of God, that HE would pay the penalty of sin or death for all humans. That was decreed at that very time. At the same time, it was decreed, as you read in Hebrews 9:27, that it was appointed to all men and all of Adam's children had to DIE. They couldn't go on living forever. Eternal life had been taken away from them. I want you to realize that brethren. But after they died would come by resurrection, the judgment. There would be a judgment. You know Satan had tried to defeat God's purpose of reproducing Himself and he had cut Adam off from God, and God was going to reproduce Himself through Adam. And now that couldn't be, because Adam had rejected God. But you see, God only did outsmart Satan the devil. So again it was another decree made. You find that in I Corinthians 15:22. And it was determined at the time that God would close off the Tree of Life, that the Logos would come AS Jesus Christ, and there would BE Christ the Savior and that He would pay the penalty of human sin and then people COULD be reconciled back to God. Now the human race was cut off from God at the very time that God closed up the Tree of Life. The world doesn't understand that brethren. That's a marvelous truth, I want you to get it. But it was decreed that Christ would come and pay the penalty of sin and through that and through His SHED BLOOD, humans could be RECONCILED BACK to God the Father and that would open up the Tree of Life once again. And that's the only way that the Tree of Life could ever be opened up to man, otherwise mankind would never know anything about God, God the Father, as we have come to know of Him. In the book of Joel, Joel the second chapter and verse 28, it is prophesied that the time would come way later, and that is at the time of the Millennium and after that God would pour out His Spirit on ALL flesh. Now He had closed up His Spirit, when He had closed up the Tree of Life, but the prophecy had come that God was going to open it up again, but that would be after Christ came and paid the penalty of sin in our stead. Now actually, that has not happened yet but it is going to happen even now. Alright now we come to the time when Jesus was born as a baby, four thousand years after this world began, and Jesus came as the second Adam. Now I want you to get that. Jesus came as the second Adam to do what the first Adam could have done but did not. Jesus was born as a Son of God. He had the Holy Spirit of God and union with God from the time of His conception and even before His birth, which Adam could have had by his own free choice but he did not, he made the wrong choice. Jesus had made that choice before He came and He had the Spirit of God and He lived without sin, though He was tempted just like you and I, He never did commit sin. And then when Jesus died, He didn't pay the penalty of death because He never brought that penalty on Himself. But He was our Maker, God created all things by Jesus Christ. He is the one who spoke and Adam was created, and all others have been born from Adam ever since. And so Jesus was a life that was greater than ALL human life put together. And when He died and paid with HIS life, He paid the penalty for ALL of us. But it applies only if we repent for having gone the wrong way. If we turn and now accept what Adam refused to do, and accept the Tree of Life and accept Jesus as our Savior, then we can receive the Spirit of God and it becomes open. However, Jesus only came to start a new and a different world and to call people out of this world of Satan. Satan is sitting on the throne and the government, and he is ruling the world. Now you read in the sixth chapter of Ephesians that we're not struggling in our trials with other people, against human people so much. We're struggling against wicked spirits in high places that are the rulers of this world. That shows you that Satan, and demons with Satan, are invisible spirits that humans don't see and don't know anything about, are really ruling this world. Well Jesus didn't come now to save the whole world at that time. He came to call certain people out and to teach them. He came as a School Teacher. He came to call them into... like into a school to learn the way of God, so that when the time does come when God is going to save the world and put Satan off of that throne, that there will be someone under Christ to teach and to rule with Him. But then again, He said of the church, "No man can come to me except the Father, which sent me, draws him" (John 6:44). Unless God predestinates and calls you, drafts you, you can't be converted now, and the people being converted now are only called out of the world to live a separate life within the world, but not as the world lives; Among the people of the world, but not living like the people of the world. And to learn about God and to learn from the Bible, and to learn God's law and to learn God's way. And then what does He say to the church? Jesus said, and you'll find these are the very word of Jesus in the second and the third chapters of Revelation. If we overcome Jesus said we will be given POWER over the NATIONS and we shall RULE them with a rod of iron. We that are CALLED, that GOD has called and drafted, and that Jesus is teaching, and we're being taught in the church, we are going to RULE the nations! The church is a group of people being called to be TRAINED, so they will know HOW to RULE the rest of the world when God does try to save the world. When Jesus comes He's going to sit on that throne where Satan the devil is now. And He'll sit on the same throne as King David of ancient Israel did. And we will sit with Him on His throne as He did overcome and is sat down up in heaven on God's throne now. So we're being trained for that. Now the world doesn't understand these things. The churches of the world don't understand these things. But no man can come to Christ except the Spirit of God the Father draws them, and we have to be predestined by God to be called now to come into the church. Now the Government of God is in the church and it has been restored in these last days. And that will be the time of the Second Coming of Christ and the beginning of God's world, another world altogether. Now back in Malachi the third chapter was a prophecy of a messenger that was to come and prepare the way before the second coming of Christ. Now, in a sense, John the Baptist was a sort of a pioneer and a type of that messenger, but he was not the messenger because in the third chapter of Malachi, if you read on verses two, three, four and five, it shows that it's talking about a messenger before the Second Coming of Christ, and he was to come and restore things in the Church. That is before the Day of the Lord, that Elijah must come before the Day of the Lord. Well that's the last two verses of the Old Testament it says Elijah would come before the Day of the Lord. Now when He said that John the Baptist had already come. He couldn't have been talking about John the Baptist because he had already come and was now DEAD! He'd been put to death, he'd been beheaded but He said, Elijah shall yet come, even after John the Baptist was all dead. This one coming in the power and spirit of Elijah was to prepare the way for the Second Coming of Christ. And we read of Christ' Second Coming now in Acts the third chapter and verses 19-21. Now what does restitution mean? It means the time of restoring something that had been taken away. Of restoring something that had been lost. Now what was taken away? The government of God was taken away by Lucifer who became Satan. And what Christ is coming for is to restore the Kingdom. Brethren all that has happened already, except the second coming of Christ. Now let's see what happens. In the twentieth chapter of Revelation, the first three verses. I won't take time to read it right now. But that shows that when Christ comes, an angel with the key to the bottomless pit will lay hold on Satan the devil and take him — put him away where he will not be able to harm people on the earth any more. He will be taken off that throne and Jesus Christ will come and sit on that throne, and also on the throne of His father David in Jerusalem. And then will come the Millennium. You read of that in Revelation 20:4-6. And then will come after that what we are here to celebrate today, this final judgment. Now let me explain something about judgment. Judgment had never come on the human race. If Adam had taken the Tree of Life, judgment would have come on him. He would have been judged, having God's Spirit, as to whether he was developing God's character but he rejected it and so judgment didn't come on him. Judgment never began on any people, now get this, judgment did not begin on the human race until Christ raised up the church. And so we read in Peter, in Peter's letter, that the "judgment must begin at the household of [the church of] God" And the judgment has begun in the church. Brethren, we are being judged now in the church. We are being judged day by day. We are having to give account for what we do. The world hasn't yet come to its judgment. When it does, it will be judged by what it DID do in its life time, no question about that. But the actual judgment has not come to the world yet, but the judgment is on the church. Now then, in the church, if we pass in this judgment we will get salvation. Judgment can lead to salvation as well as a condemning and a punishment. I want you to understand that. 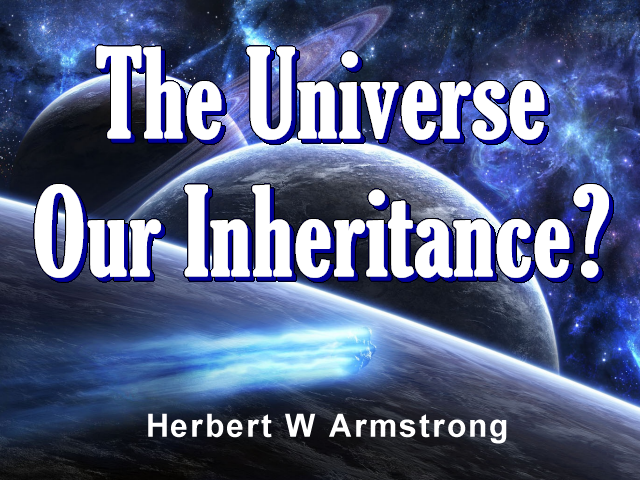 Judgment on living humans will be on ALL humans on earth during the Millennium. EVERYONE will be in His judgment at that time. And then for the rest of the dead, it was appointed for them to die, and then after that will come the judgment, and that will be at the end of the Millennium. So now we come to verse eleven of the twentieth chapter of Revelation. And the book will show what they did do while they lived. Now that will mean Cain and Seth and all of the people before the flood that were drowned like rats in the flood. That'll mean all of the people of ancient Israel that never had God's Holy Spirit. So may of them, they will all come out at that time. Now another, coming to Luke the tenth chapter and verse 12, Jesus said; "But I say unto you, that it shall be more tolerable in that day [meaning the judgment] for Sodom [and Gomorrah] than for [this] city. But it shall be more tolerable for Tyre and Sidon at the judgment, than for you." (Luke 10:12,14) He said, because, He's talking about the judgment. Now what kind of life was that? The life that comes from breath is mortal life. When you have immortal life you don't need any breath, that's spirit life. So this is talking about being resurrected back to normal mortal life once again, just as they were before. Not immortal life at all, not spirit life yet. Now they weren't alive because there was no breath in them; not immortal, but they're back, everything but the breath now, like a corpse. Then they'll come to know what they never did really get to know in this life because they were blinded by Satan, and they never did recognize God. And; continuing the next verse 14. Now at last the Holy Spirit will be open to them and God will put His Holy Sprit into them in this resurrection. Once again, it was appointed to ALL men once to die, but after this the resurrection and the JUDGMENT. As in Adam all die so in Christ they will all be made alive. They'll come to KNOW, and THEN God will put His Spirit in them, and many of them are going to then find salvation in this Great White Throne Judgment. That is yet ahead of us. What a wonderful thing is yet ahead of us my brethren all around the world. I hope you can understand that. But that is still not the end. I want to go a little bit further now. After all of that, everyone who ever lived, Satan thinks he's got them because they all died. Yes, the penalty of sin was death and they did die. But through Christ they are going to be made alive, and Satan won't be here and then they are going to recognize God and they're going to repent, and they are going to, many of them, receive His Holy Spirit. Now it doesn't mean all of them. Some will still reject, but I can't believe many will reject. I have to believe that most are going to accept what God has for them. Now I want you to see what carries on after that. That's in the second chapter of Hebrews, beginning with verse 5. Beginning with verse 5. The first chapter talked about Christ, and about the angels, and how Christ sustains the whole universe with the Word of His power, and how the angels are ministering spirits to those that are the heirs of God, as we are. And Jesus calls us brethren, because He is the Son of God and we will be sons of God and the church will marry Christ. He will be the husband, the church will be the wife, God will be the Father and we shall have spiritual children that will be converted through the Millennium. And then in this Great White Throne Judgment, will be OUR children, SPIRITUALLY speaking, not physical. Now I want to have one more little passage of scripture. That's in the eighth chapter of Romans, beginning with verse 18, and this is now from the Revised Standard Translation. When they will be able to see that we are spirit beings and just like God, no longer mortal humans having to breathe air; flesh and blood and bone but we'll be spirit beings, sons of God. That is the family of God. God is reproducing Himself, as I said in the beginning today. God's great purpose. And then in Philippians the third chapter, our vile bodies will be changed [in a twinkling, in a moment] like unto His glorified body. And Christ's body, how is it? Well His face is like the very sun in full strength, His eyes like flames of fire. And we shall be like Him, we'll see Him as He is when that time comes. Well brethren, that is the way the great purpose of God finally works out. The wonderful purpose of God. It's going to be a mighty thing, It's going to work out wonderfully, and the whole creation is going to, we are going to work over the whole creation. Now you can use some imagination, if you will. Perhaps we will start other worlds in other places out in outer space. Who knows. What a WONDERFUL thing God has in store for us. And so now we come to the end of these Holy Days. This is the last service until next year. Brethren, it isn't going to be long now until we come into that glorious time. The time is short. We have much to learn. We have to grow in the grace and the knowledge of our Lord and Savior Jesus Christ. Let us love one another and let us grow together for this wonderful, glorious future that God has in store for us. God bless you all.